Lockrite Security have been installing commercial access control systems for small, medium and large businesses for over 25 years. Access control systems offer a secure, convenient, flexible and cost effective way of controlling who has access to your building and when that access is allowed. Access control systems offer a high level of monitored access to your premises. Lockrite Security offer a free assessment of your premises to assess your access control requirements and make recommendations to improve your security. We install a range of audio and video intercom systems for domestic and commercial properties. 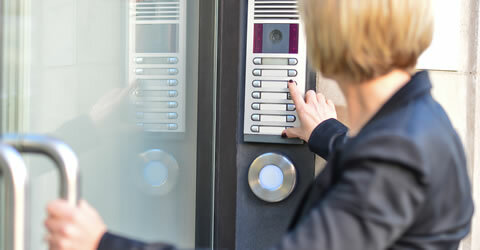 Intercoms enable two way communication for visitors on arrival for added security. 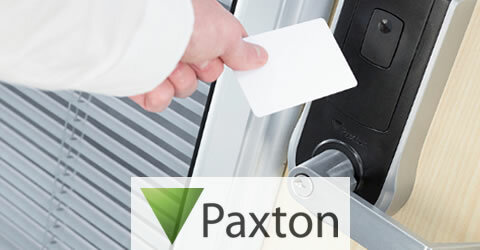 Paxton Net2 is one of the most economical PC Based access control systems on the market. Adding, restricting and changing users and door lock devices is simple and can be done from a central PC. A standalone solution where all of the control electronics are in the keypad or reader. 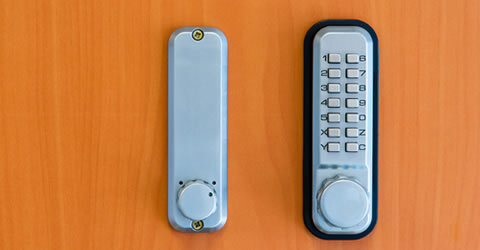 Compact systems are an easy to administer and cost-effective means of controlling access to a building. Electronic Digital Locks provide major benefits over mechanical locks. You can assign multiple user access codes using the keypad. Digital Locks are best suited to health, educational and commercial areas.